From Lyddia Darragh, Revolutionary War spy, to Marian Anderson, one of our country's most celebrated performers, read about 10 intriguing women whose courage, perseverance, and accomplishments helped to make Pennsylvania great. This full-color program is the perfect introduction to our state for new readers, and helps teachers address early elementary standards for state studies (Pennsylvania standard 8.2). 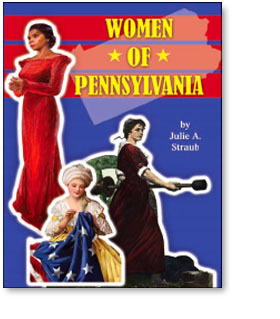 Women of Pennsylvania provides entertaining reading and includes a table of contents, glossary, index, and a list of websites for further study.